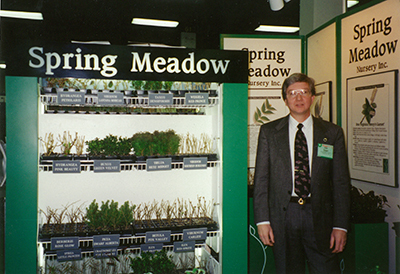 Spring Meadow Nursery was founded in 1981 by Dale and Liz Deppe. What started as a small, primarily contract-growing operation has grown to become one of the largest and best-known woody plant liner providers in North America. Despite our size, Spring Meadow remains a family business. Dale serves as president, Liz as head of accounting and HR, and their son Jeremy as a general manager (even though, like many in our industry, he swore he'd never work in the family business!). And Rosie the nursery dog comes to work almost every day to serve as an official greeter and make sure no one shirks their ball-throwing duty. Our story is still being written - every year, our facilities, our liners, our plant selection, and our staff grow to allow us to provide the very best liners, service, and plant varieties in the industry. Take a walk through our history in the timeline below. 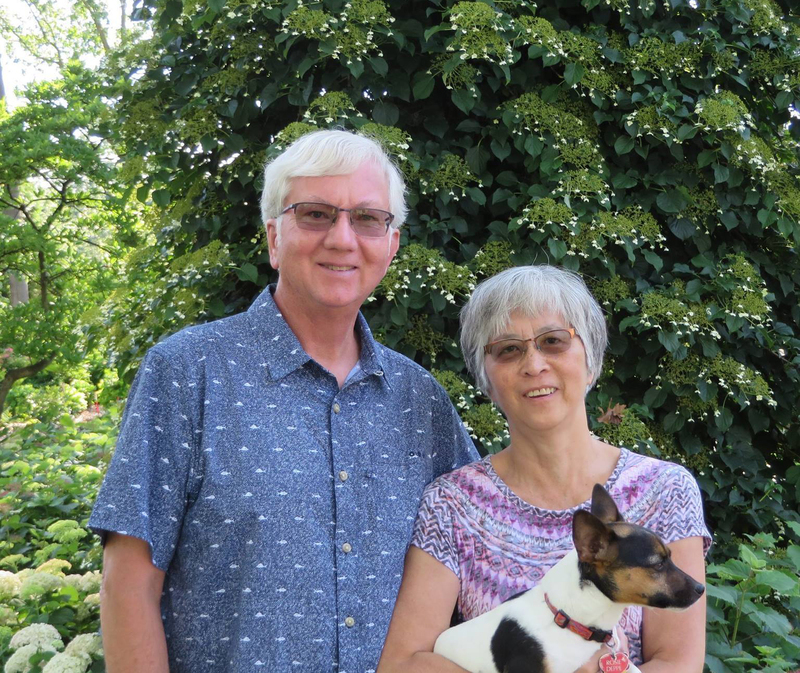 Dale and Liz Deppe establish Spring Meadow Nursery in Grand Haven, Michigan, as a woody plant liner nursery with 20 acres for stock and field growing, and one 15x100' propagation greenhouse built from old telephone poles and hand-bent pipes. Around 25 deciduous shrub varieties are offered and an inventory list mailed to approximately 100 growers. A pole barn is built for mixing soil, storage, and sticking liners. It includes a 10x10' enclosed space to serve as office and lunchroom. A loading dock is also added, with trucks using 120th Avenue, the main road in front of the nursery, in order to back in properly. First full-time employee is hired to work as a grower, propagator, salesperson, as well as manage shipping. There are 15 greenhouses on the premises and selection has grown to around 100 evergreen and deciduous shrub varieties, which are offered in 2¼" and 4" sizes. A multi-page catalog is sent to over 700 growers. Spring Meadow has acquired a reputation as a source for new shrub varieties. Tim Wood is hired as new plant development and marketing manager and tasked with finding new and exclusive shrub varieties. Dale is named MNLA Grower of the Year. First full-color catalog is printed. Dale and Tim travel to Europe and bring back the first plant of Wine & Roses® weigela and Blondy® euonymus. The ColorChoice® program for introducing "new and superior" shrubs debuts in the Spring Meadow Nursery catalog. Dale and Liz establish the Spring Meadow Scholarship Fund through HRI. The first version of SpringMeadowNursery.com is launched. Staff includes two full-time salespeople. A third liner size, the Quick Turn™, is added for ColorChoice® varieties. Dale is named ANLA/NMPRO Grower of the Year. Spring Meadow joins with the Proven Winners® brand of annuals to become Proven Winners® ColorChoice® Shrubs and is exclusively licensed to select, develop, distribute, and market shrubs for the brand. Installed TTA Grading Machine from the Netherlands. Begin multi-year implementation of lean flow production, resulting in over 30% increase in efficiency. 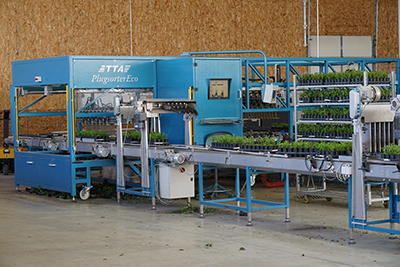 Proprietary automatic trimming machine, developed by Spring Meadow staff, is put into use. Tissue culture lab installed for propagation, R & D, and to increase opportunity for overseas distribution. The Proven Winners® ColorChoice® shrub line now includes 100 varieties. Two acre Westbrook greenhouses installed for a dedicated R & D facility. Dale is elected Chairman of the Board of American Hort (formerly ANLA). AgriNomix automated media mixer added. Dale is awarded the prestigious Scott Medal by the Scott Arboretum of Swarthmore College for his "outstanding national contribution to the science and the art of gardening." New greenhouses completed, bringing total under glass to 34 acres. Four ISO sticking machines are installed. In January, the office building is destroyed in a fire. No one is hurt and no crops or growing structures were damaged, but the office and all archival material is lost. 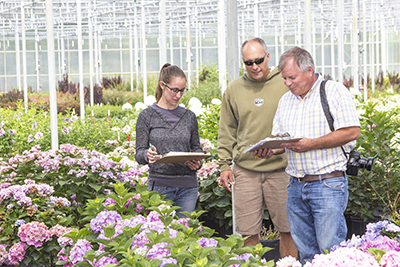 Proven Winners® Flowering Shrubs launch in garden centers across Europe. Ground is broken for the new office building and conference facilities in September. The Invincibelle Spirit® Campaign for a Cure hits the $1 million mark in donations for breast cancer research. After 18 months of working in the former employee lunchroom, Spring Meadow staff moves into the new office in August. Ground is broken for a new propagation facility. Dale is presented with the Jackson Dawson Memorial Award for exceptional skill in the science or practice of hybridization or propagation of hardy, woody plants. Dale is presented the WNLA Western Legend Award, recognizing a lifetime of sustained and significant professional achievement and public service to the green industry.